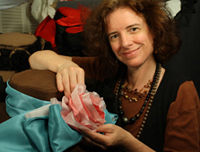 My name is Sally Faith Steinmann and I am the owner/designer of MAGGIE MAE DESIGNS® Custom Millinery for Women. 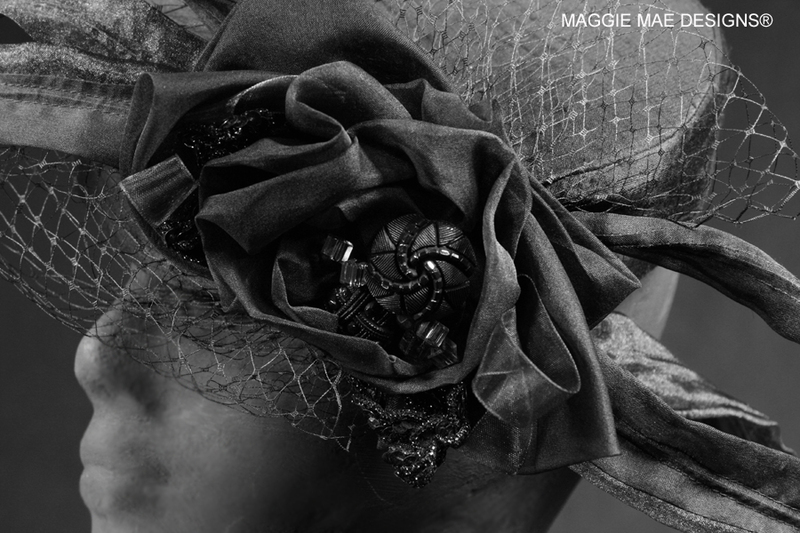 Black dupioni silk cocktail hat with flexible black silk organza "feathers", black silk organza rose curls, sparkle buttons & beads, and veiling. 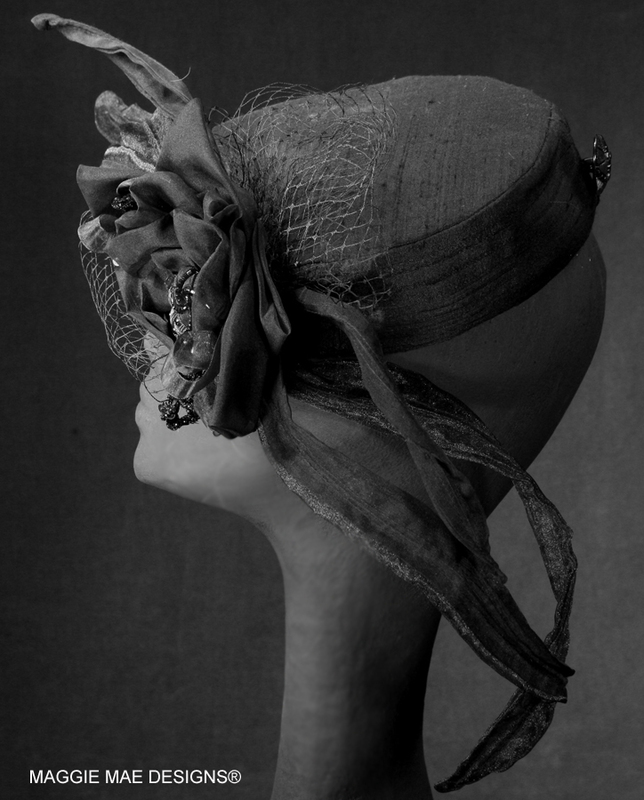 Email Sally for further information or a hat price list. If you do not receive a requested price list quickly, please either call Sally at 508-430-1626 or check your spam folder as sometimes a spam blocker can inadvertently prevent you from receiving emails from a new source. Prices on all MAGGIE MAE DESIGNS® products subject to change without notice. No wholesale price requests, please. 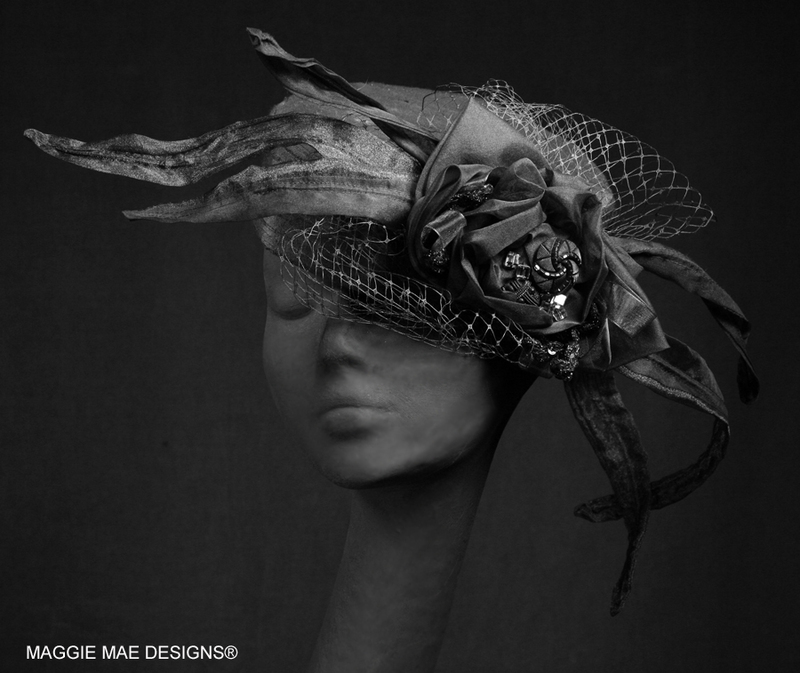 All designs and content on this site are the sole property of MAGGIE MAE DESIGNS®. 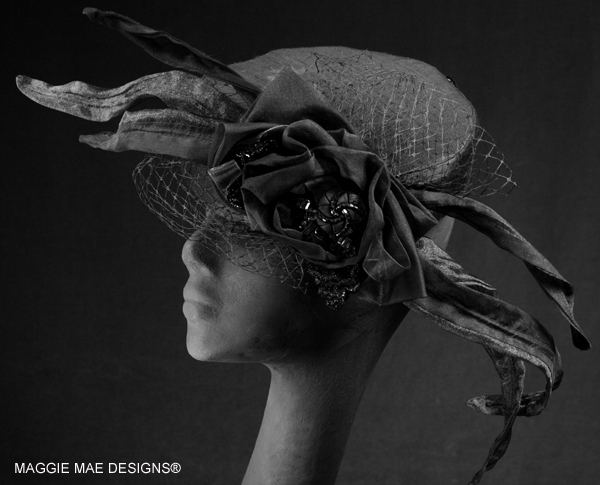 Images and content cannot be reproduced for any commercial purpose without express, written permission of MAGGIE MAE DESIGNS®. 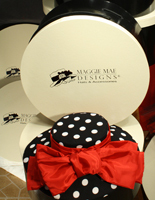 MAGGIE MAE DESIGNS® hat boxes available exclusively for our customers.